How much would you pay for a business class flight with a door on it? Delta, it seems, thinks it can soak passengers for an extra five hundred dollars, with flights on its brand new Airbus A350 aircraft showing surcharges for the new aircraft tucked away in their fare terms. A SURCHARGE OF USD 250.00 WILL BE ADDED TO THE APPLICABLE FARE FOR TRAVEL IN AIRBUS INDUSTRIE A350- 900 EQUIPMENT. APPLIES PER ADULT. CHILD/INFANT DISCOUNTS APPLY. Australian Business Traveller initially reported a $1000 round-trip surcharge on certain business fares, which are this US autumn ranging from around five to eight thousand dollars according to a set of Google Flights searches, depending on departure date and equipment selected. Adjusting Detroit-Seoul by a day either side to avoid the A350 saves $250 per flight, according to Google Flights and Delta.com pricing. 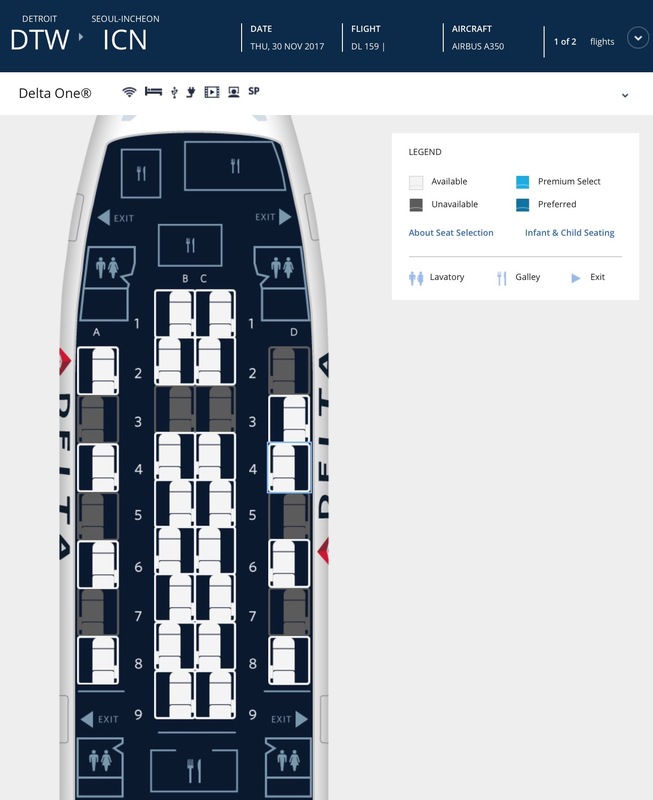 It’s fascinating that Delta thinks it can price its #PaxEx higher this way, even if the product did narrowly win the Crystal Cabin Award this year. 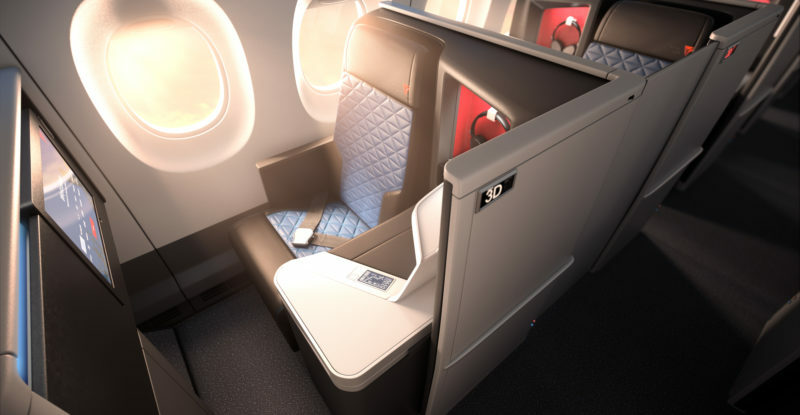 The Thompson Vantage XL+ seat is, at its core, a seat that other airlines are already using without surcharges — the Vantage XL, one with a decade of design DNA behind it that dates back to when Delta launched the product on its Boeing 767 fleet — with a door on the side. Indeed, with Delta’s existing Boeing 747-400 flights on this route using the Zodiac Cirrus outward-facing herringbone seats, it’s arguable that the new seats will offer less personal space than what’s on the older planes, especially on the A350 cross-section. The A350’s bigger windows and lower cabin altitude, though, put a couple of extra ticks in the twinjet’s column, although some passengers will miss the smaller and exclusive nose or upper deck cabins on the good old jumbo. There is also the zero sum problem with staggered business class seating to consider. The outward-facing herringbone seats on the 747 are much more consistent than the staggered seats on the A350, even if the Vantage XL+ seats do have doors to add privacy and shielding from the aisle compared with the Vantage XL seats on SAS, Qantas, Philippine Airlines and others. There are, of course, some precedents for pricing new products higher: most recently, Qatar Airways’ newest product, the Qsuite, was priced at a premium over the airline’s other London flights by excluding lower fare buckets from the Qsuite flights, although in the Delta case there aren’t other flights on the same day for relatively price-sensitive passengers to fall back on. 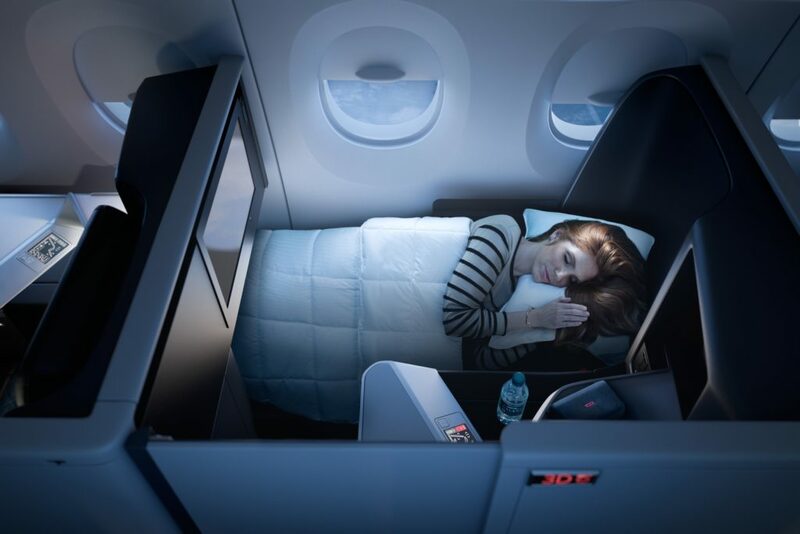 Yet it’s a relative novelty for US carriers, and it will be interesting to see whether American and United go the same way as they roll out their improved business class offerings over the next few years. There are still, however, some issues to be ironed out with Delta’s filing of these A350 flights, which suggests that changes to the pricing are still possible. For a start, Delta’s website lists non-flexible fares in Delta One as “First Class”, and also says that the flight departing Detroit at 12:24pm arrives at 4:30pm the next day, which it is unlikely to do on account of the international date line. All in all, though: is a door on a business class seat really worth $500 per flight? If so, it strikes me that there’s a generation of business class products that will be swiftly canned in favour of suites.